It's only dirty if you're doing it right. 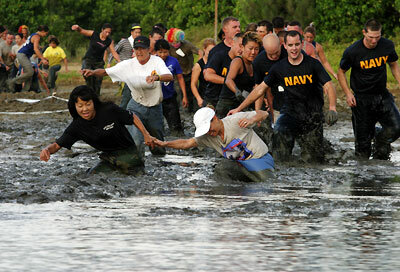 The 12th annual "Swamp Romp" at Marine Corps Base Hawaii gets under way at 7 a.m. Saturday. 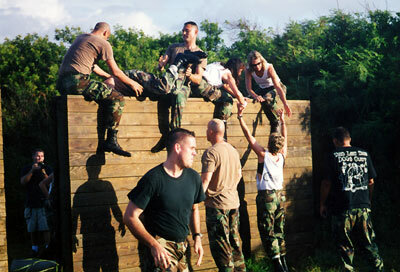 It's your basic obstacle course, the kind Marines breeze through on their way to work. But for the rest of us, it's an awesome challenge of Biblical proportions. 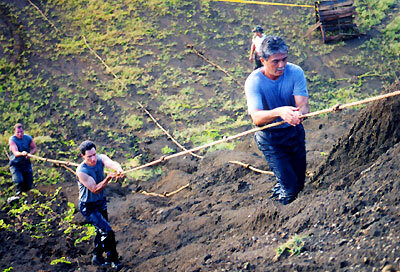 You don't go OVER the course, you go THROUGH it. It's muddy, buddy, and designed with drill-instructor fiendishness. That's why military units and corporate teams all over Hawaii sign up to compete, because it feels so good just to finish. And there are awards and medals. Plus, at the end, a shower. Teams must have at least six members to compete, and registration has been completed at this point. (Information: 254-7679.) But that doesn't mean the teams don't need cheerleaders. Just don't wear white.